It all started back in 1992, when members of the White Cockade, a Jacobite re-enactment group, walked the route the Jacobite Army took in 1689 to commemorate the first Jacobite Battle between the supporters of Catholic James VII of Scotland & II of England and the Scottish & Government Army of Protestant William and Mary on mainland Britain. 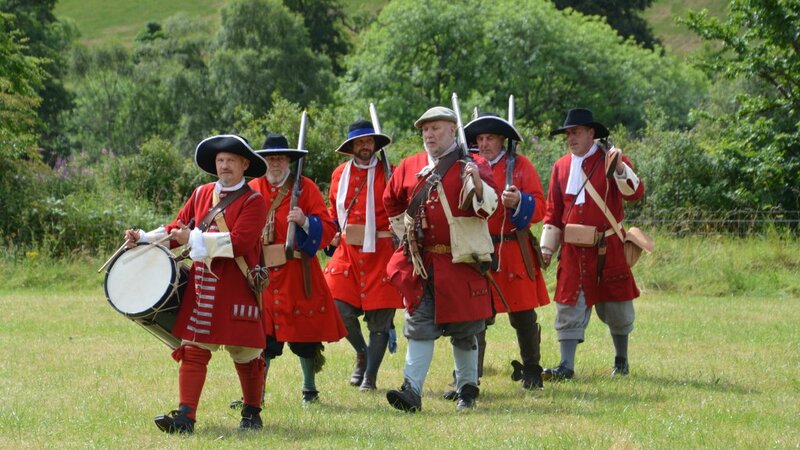 The walk became an annual event and then, in 2013, a re-enactor shared the idea of bringing back together Bonnie Dundee’s Jacobite Cavalry for the 2014 July walk. 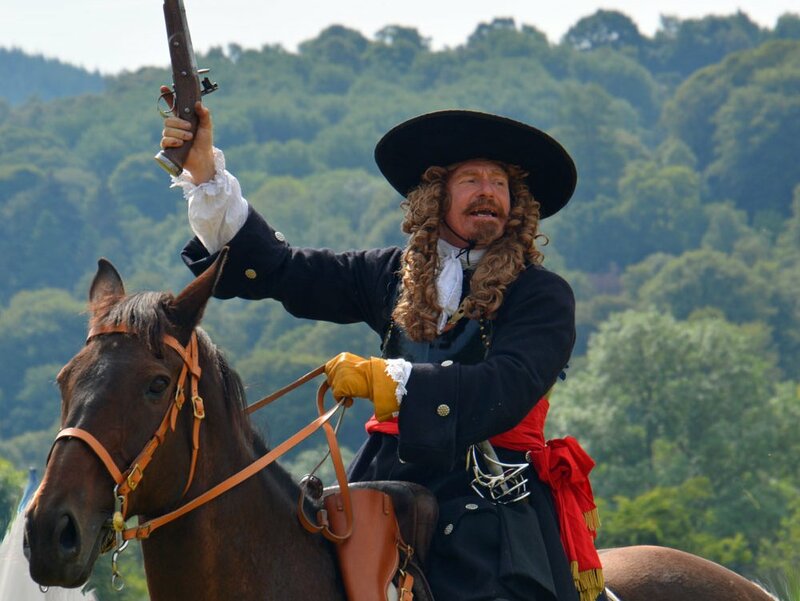 He had all the period saddlery, clothing, and local riding and equestrian stunt team, as well as Riders of the Storm horses. 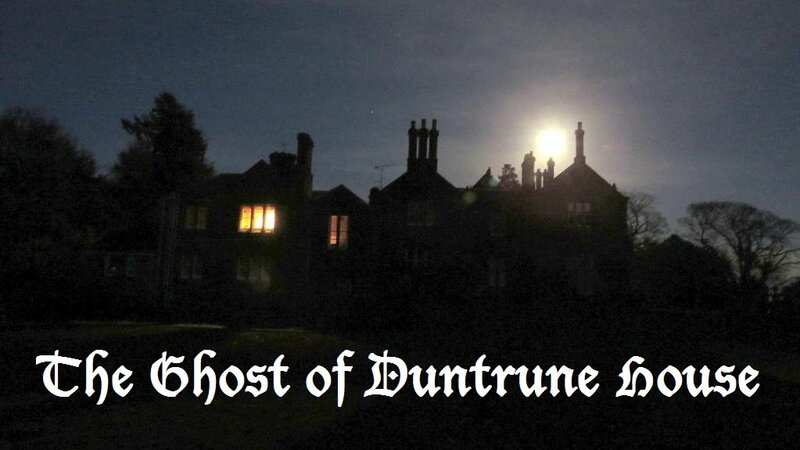 Inspired by the suggestion, the folk of Killiecrankie and Fincastle came together in true community spirit and the conception of a two-day, weekend event was born. 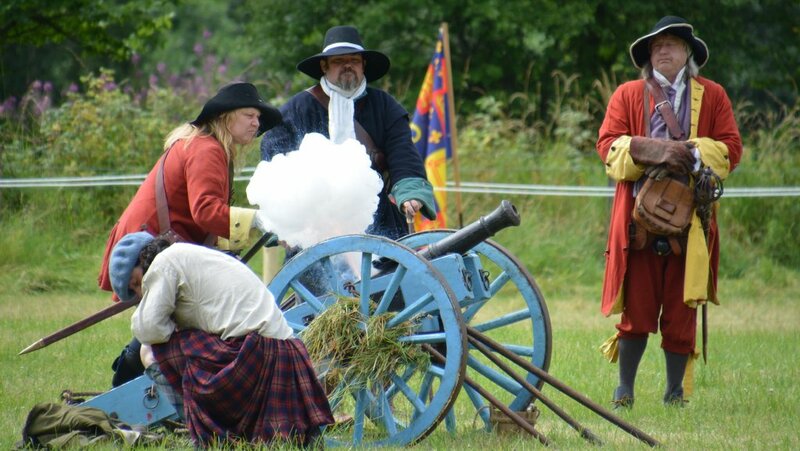 Organised and run by the community, the Soldiers of Killiecrankie event took place in 2014 on the fields where the Battle of Killiecrankie was fought on 27th July 1689, So popular was the event it has continued every year ever since. 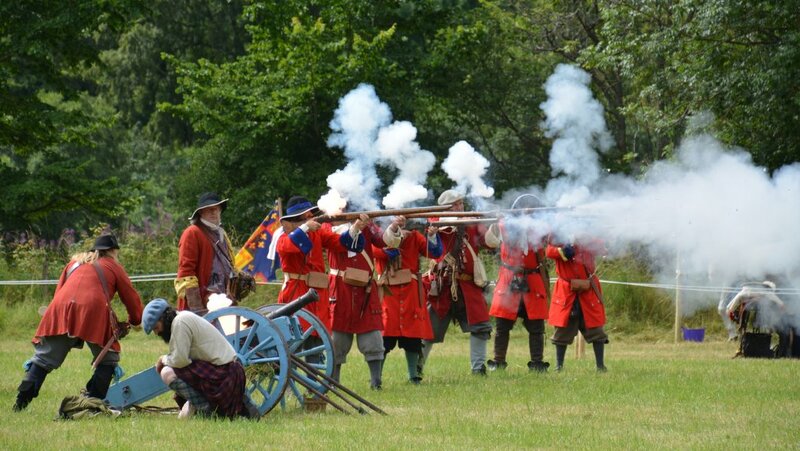 The Infantry - Watch displays including the firing of muskets and cannons. In the large arena all the infantry march together, while in the smaller arena there are close up displays showing the cannon team, their orders and drill. Learn about the plug bayonets, the first attempt to use a knife on the end of a gun –particularly its progression in to the bayonet used by modern armies today. 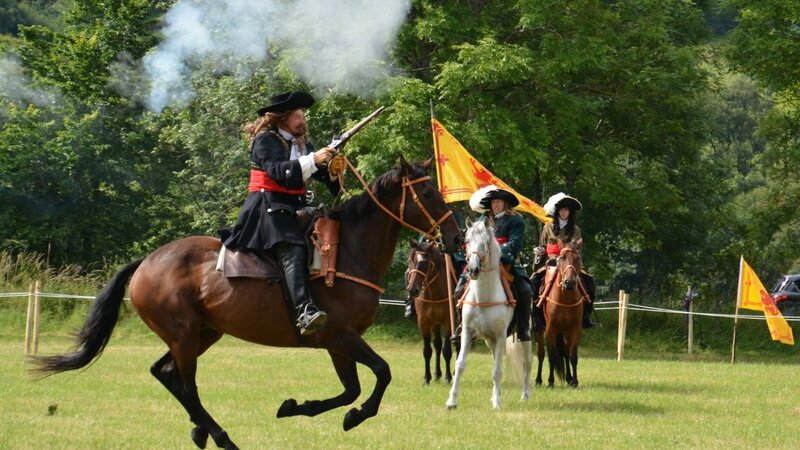 The Cavalry - Understand the part played by those on horseback; see their weapons and be enthralled by a demonstration at a full gallop. History of the Royal Scots Grey Regiment - In 2017 the proud history of the Royal Scots Greys regiment is shared. 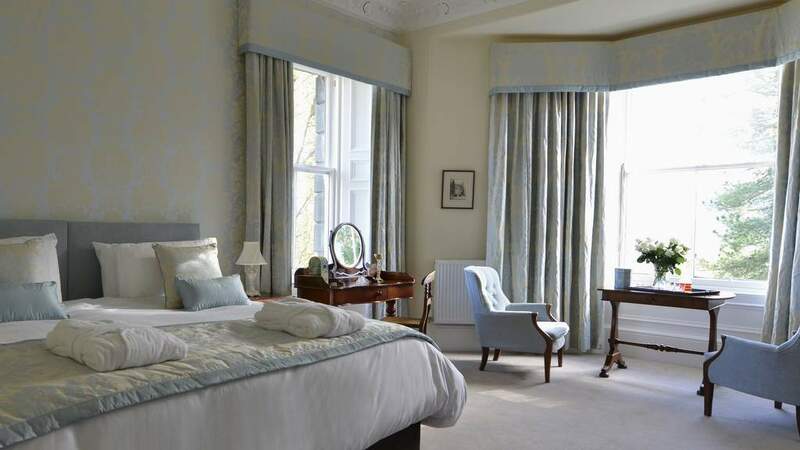 Founded in 1678, the Royal Regiment of Scots Dragoons, better known as the Royal Scots Greys, are synonymous with Waterloo and many other battles over the years. Amalgamated in 1971 with the 3rd Carabiners as they are known today as the Royal Scots Dragoon Guards. Living History Camp - Understand the hardship of life for the infantry and their camp followers who lived on the road during campaigns from the reconstructed campsite. The Soldiers Leap Zip Wire - In honour of Donald MacBean, one of William II of Scotland's supporters, who is said to have leapt 18ft or 5.5m over the raging River Garry in order to escape the victorious Jacobite’s. The 175-yard Zip wire starts 70 feet up in the trees passing initially through the tree canopy before bursting out above the battlefield. 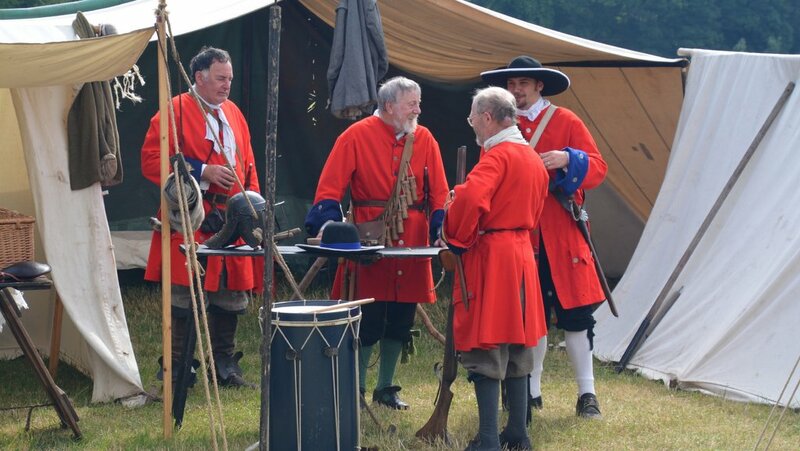 Battlefield Tours, BIG Tent shows, talks & plays with many period sensitive stalls. 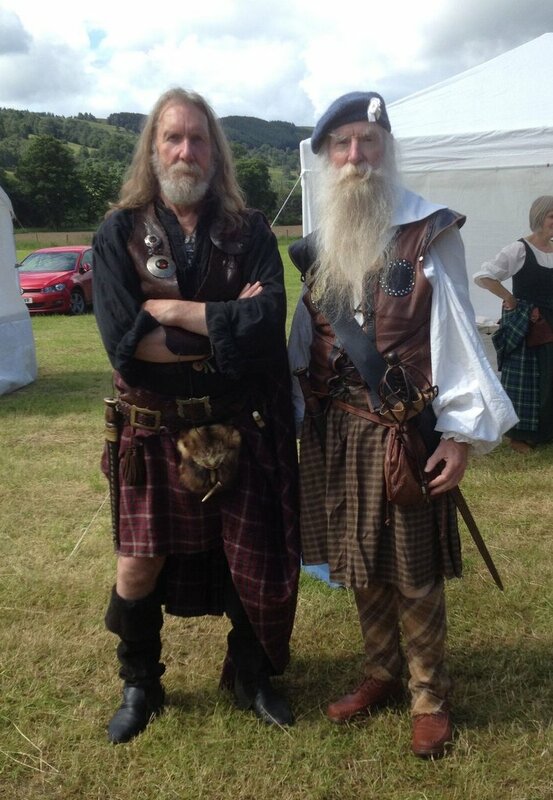 There is also the opportunity to dress in period clothing – doesn’t everyone want a selfie as a Jacobite? 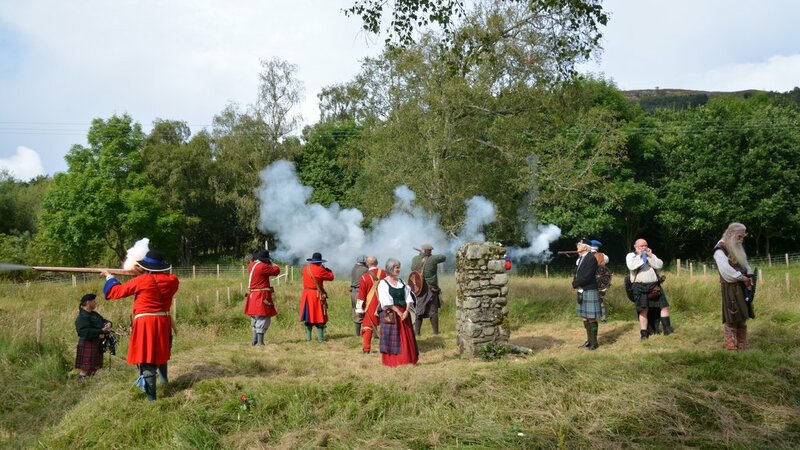 The weekend concludes with a piper leading visitors to the Memorial Cairn for a short service of remembrance, which includes Gaelic Singing and a 17th century musket salute. Car park is free, Adults £6, Concessions £5, Children £3 Families (2 adults 2 children) £16.